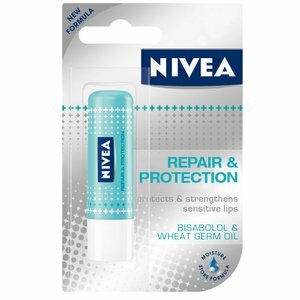 NIVEA Lip Care Repair & Protection regenerates chapped and cracked lips quickly and effectively. The soothing and protecting contains natural moisturising ingredients Bisabolol and Shea Butter. Provides extra care and protection for lips especially prone to drying out. Supports the lips own barrier function. Contains UV filters.